BERNARD Tomic's beaming smile as he walked out of his Monday night press conference perfectly summed up the toxic state of Australian tennis. He delighted in the chaos he'd just unleashed. He relished the scrutiny he'd just put on Lleyton Hewitt's performance as Davis Cup captain with his explosive allegations of preferential treatment. "Have fun with that guys," he said to reporters as he walked out of the room after dropping his nuclear bomb on Hewitt. Here's how it reached breaking point. Three years ago Hewitt and Tomic couldn't have spoken more glowingly about each other and their relationship. As Hewitt made his last outing at Wimbledon, Tomic honoured the retiring great and forecast the role he could play for Australia's next generation. "He's a true mentor, not just to me, but to a lot of people around the world. He's changed me," Tomic said. "If he can be around us as much as he can, it's going to be huge for us the next 10 years." Hewitt reciprocated. "I've built a pretty strong relationship with Bernie," he said. "I think I'm probably one of the closer guys that he trusts now." But the Tomic family started backing Hewitt inTO a corner the following year when they fell out with Tennis Australia over funding for Bernard's younger sister Sara, a fringe professional player. Despite attempts by Hewitt to save the relationship, Tomic made himself unavailable for Davis Cup selection and split with the management company that also managed Hewitt's affairs. This time last year, Hewitt declared Tomic was "digging a hole for himself that he may not be able to get out of". It came after the wayward star ventured to South Africa for Channel 10's I'm A Celebrity Get Me Out Of Here after failing to qualify for the Australian Open. The cord was essentially cut between him and the rest of Australian tennis - but it's only now we're seeing the damage it can create. Having reached a point where he can gain nothing - neither funding or wildcard boosts - from remaining on speaking terms with Tennis Australia, Tomic is free to speak his mind without fear of reprisal, and that is exactly what makes him dangerous to Aussie tennis officials. It has shown in Davis Cup tie selection flash points. Most notably, a report last week claimed Kokkinakis has been stroppy towards Hewitt after being overlooked for lower-ranked player John Millman for a singles rubber against Belgium in Brussels in 2017. Hewitt also chose to go with Alex de Minaur and Jordan Thompson for Australia's most recent Davis Cup tie against Austria in September. Millman was rested for that tie after his run at the US Open. Kyrgios made himself unavailable. "He doesn't put the players first, from what I've heard in the past year," Tomic said. "He doesn't put the players first. He doesn't put Nick first. He doesn't put Kokkinakis first. He always thinks of himself and it's not good. "He's in Davis Cup and he's doing the wrong thing and we don't want to play anymore. I hope he can get moved and we can go back to having a good captain." Hewitt will name his squad next week for Australia's scheduled tie against Bosnia and Herzegovina, which begins on February 1 in Adelaide. Tomic received tentative support for his accusation that Hewitt is selfish for playing himself in doubles during Davis Cup ties. 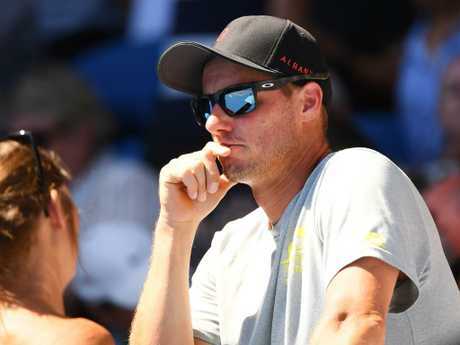 He also suggested it was selfish for Hewitt to continue to accept wildcard entries into the doubles draw of events, including this year's Sydney International and Brisbane International. He is also playing doubles at the Australian Open this week with fellow Aussie John-Patrick Smith after being awarded a wildcard. "Go away. I thought he'd retired, like, why are you still in tennis," Tomic said. "Why do you still play all these doubles tournaments?" 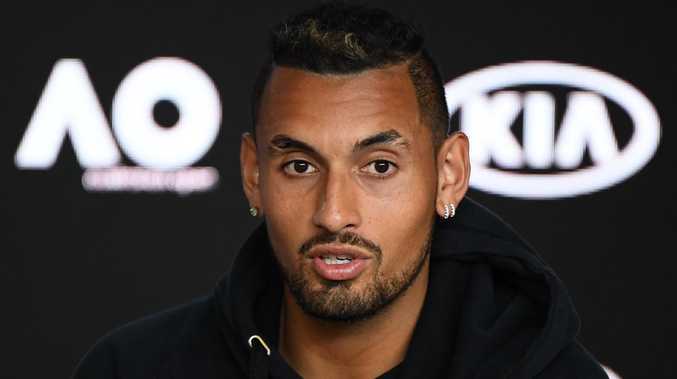 Hewitt played in the doubles in the tie against Austria in September last year, but Tennis Australia performance director Wally Masur publicly supported Hewitt's decision because Kyrgios, Millman and Kokkinakis were all not included in the squad. The wildcards instead went to Alex Bolt, Alex Popyrin, Jason Kubler and Marc Polmans. Kokkinakis's falling out with Hewitt was then revealed. Hewitt's selections were somewhat justified when Popyrin and Bolt won through to the second round. Tomic, Kyrgios and Kokkinakis were all eliminated in the first round. Tomic's most scandalous accusation was Hewitt has been playing favourites with his selections for his own profit. His wild claims that Hewitt had been promoting players tied to his own management company received widespread condemnation from the Aussie tennis fraternity, but Aussie tennis great Pat Cash declared on radio on Tuesday that there must be an independent investigation into Tomic's accusations. "It's funny all these players who got wildcards under our system, I think it's guys like (Alex) Bolt … they're all under his wing so he gets a percentage of that," Tomic said. "It's a conflict of interest and I think that's terrible. Am I right or am I wrong? "They're all under his wing, under the management company. So it's all a conflict of interest. The more they make here, the more he takes. You know what he's doing and I think it's wrong." According to reports, none of the players mentioned by Tomic - Bolt, Popyrin, Thompson and Polmans - are represented by Hewitt's W Sports and Media management company. The cold hard facts, unfortunately, will not be enough to douse the flames of this feud anytime soon while emotions continue to run so high. All eyes will now be on Hewitt's Davis Cup selections next week - but the announcement seems destined to only plunge Australian tennis further into crisis.